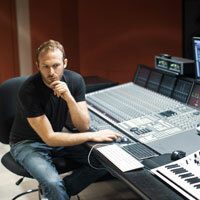 You’ll hear the term “glue” thrown around a lot in discussions about modern music mixing. Generally, it’s used to describe a type of processing that is usually applied to the master buss or sub-groups that helps the individual elements sound as if they exist within the same sonic context. I have a theory why “glue” processing has become so popular amongst modern mixers. Half a century ago, most music was produced by placing a well-rehearsed band of talented musicians in a proper recording space, then choosing microphones, preamps, and outboard gear that would best serve the songs, and capturing the band using a large format console and analog tape. One could argue that because studio time and tape were so expensive, bands (and engineers) took their jobs more seriously, showed up more prepared, and were more capable of together generating that elusive musical spark. Today — computers, software, hard drive space and recording technology are easily accessible and relatively cheap. We’ve witnessed the democratization of the music industry. An inexperienced teenager can conceivably write, record and distribute an entire album to an audience of millions. The very same teenager may be using a primarily sample-based approach to produce their record, meaning they’re using audio recorded in a variety of studios, by numerous musicians and engineers to create a final product that is more of a sonic collage than it is a representation of an actual performance. This isn’t a criticism of that style of production, merely an acknowledgment that the process of creating music is far different than it was decades ago. Even if a band is afforded and decides to take a more organic approach, there is still something about the digital process — countless overdubs, using playlists/comping, capturing nearly unlimited tracks, augmenting drums with samples, virtual instruments, complex automation, and of course the inherent sound of digital audio are just a few factors that leave us with a product that sounds and feels much different than the days of musicians together in a room, committed to tape. Because the fast turnaround times and high amount of revisions common to modern productions, I don’t always have the opportunity to work analog gear into my process, but I prefer to, if possible. Hardware sounds great on individual elements, but also does something very special to sub-groups or entire mixes. The drums and bass start to work more in concert and seem tighter, the stereo image is more defined and the vocals sit better in the mix. I’ve been on audio forums in which I’ve read that certain pieces of hardware can sprinkle “fairy dust” onto a mix. The sound of music being massaged by analog circuitry is greatly missing in productions created in today’s lo-fi, laptop-based studios. Combine this mostly digital workflow with the patchwork approach to assembling performances, samples and loops, and we risk being left with music that lacks cohesion. 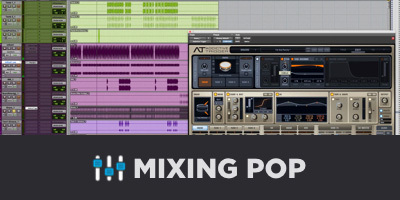 Enter the plugins that offer those qualities that “glue” a mix together. Digital reproductions of hardware offer old-school engineers who have migrated to a DAW-based workflow both a sense of nostalgia, and a mostly faithful reproduction of the unique sonic textures that these classic units offer. It’s not uncommon for me to process my sub-groups and/or master buss with at least one instance of processing specifically chosen to help the mix achieve a greater sense of cohesion. Here are my favorite plugins that I use to glue a mix together. In my opinion, Universal Audio is unrivaled at faithfully recreating software versions of legendary hardware units. The look, functionality, and most importantly, the sound, is second to none. I often reach for one of these two emulations of classic tape machines when I want to make my mixes sound more familiar and “expensive”. They offer two distinct sonic flavors that I have yet to find anywhere else. 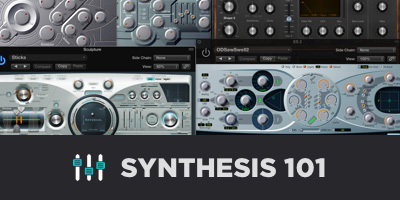 Think of them as excellent sources of saturation, compression and equalization all-in-one. The way they affect the stereo field, the relationship between elements and overall tonality of a mix make these the ultimate “glue” plugins. The ATR-102 is a bit “shinier”, while the A800 is warmer and more saturated. Each of these plugins feature the wide variety of controls found on the original units, but with plenty of extras. The ability to toggle between several distinct tape types with a single click is an astounding technological feat. Pay Attention to IPS (inches per second). The higher the IPS, the more high frequency you’ll get. 30 is great for an extra bright, polished sound, 15 should work for most program material, 7.5 if you want a lo-fi vibe, and 3.75 (ATR-102 only) as a special effect. I hesitate to use the “wow and flutter” feature on the ATR-102 across an entire mix, at least any that will ultimately be widely distributed, but I find it a lot of fun to use them on synthesizers or as a special effect. I do find it pretty funny that for decades, wow and flutter were viewed as flaws, and now there are a deluge of plugins in which they are considered a feature, not a bug. The Master Bus Compressor found in a variety of large format SSL consoles has long been known as one of the ultimate tools for helping mixes sound more musical and cohesive, so it’s no surprise that a variety of companies have developed software emulations of it. Cytomic even named their plugin “The Glue” and I love the balanced tone and lively feeling it imparts onto mixes. UAD, Waves, and others also each make excellent digital recreations of this widely-used dynamics processor, so my suggestion is to demo them all and figure out which of them works best for you. Ableton Live users benefit from having The Glue built into the DAW. Slow Attack, Fast Release, set the Threshold and Ratio for 1-3 dB of Gain Reduction and call it a day. I was fortunate enough to have just used some 500-series Pultecs for summing on a recent project and they are truly stunning equalizers. The many emulations of the EQP-1A and MEQ-5 are a great “finishing” equalizers and are perfect for making subtle or dramatic tonal changes to your mixes. Again, my suggestion is to demo all of them and decide which plugins are best based on your own personal preferences and budget, but I have noticed that the UAD version of the EQP-1A has the most noticeable effect on the stereo field, and is the one that I use the most for polishing my mixes. Automate certain parameters (perhaps a 12k boost) so the effect is more pronounced in choruses. I apply this to subgroups and the master buss to add extra excitement and width to choruses. I use this compressor plugin for a wide variety of applications — vocals, guitars, subgroups … nearly everything. It really shines on the master buss, though, as it affects the tonality and relationship between instruments in a wonderful way. When dialed in properly, the drums hit harder, the bass sits lower and unwanted harshness is tamed. More so than other compressors used for cohesion, I find that the 33609 does something very special with the sense of space of a mix, helping individual elements to sound more defined and clear. Similar to the SSL Buss Compressor, it’s advisable to use a slow attack and medium to fast release to avoid pumping, but try using the 33609 on a parallel buss with more extreme settings and then blend to taste. On several recent productions, I’ve kept the parallel buss level low until the choruses, when I bring it in to add explosive energy to the mix. Another legendary hardware compressor that has been emulated by numerous plugin companies, the 2500 is similar in ways to the aforementioned SSL and Neve units, but with a few added features that allow for more sonic flexibility. The tone section contains controls for knee, detector (thrust) and tone type, which are great for sculpting the sound of whatever program material you decide to run through it. Take full advantage of the detector control. This is a feature that you won’t find on most other compressors. Essentially, you have the ability to make the unit less affected by low frequencies, resulting in a more focused midrange with an incredible punch. Many compressors do have a sidechain option, but they don’t work quite this way. If you find your DAW-based productions sounding a bit cold, lifeless and dull, consider using any of the aforementioned plugins to emulate the cohesion of mixes created in decades prior. There are plenty of benefits to working in the digital realm, and we’re extremely fortunate to be in an era where there are so many high-quality plugin emulations of analog gear. A majority of the time that humans have been listening to recorded music, it has been created via analog means, and I believe we’ve adapted to find this sound familiar and even comforting. 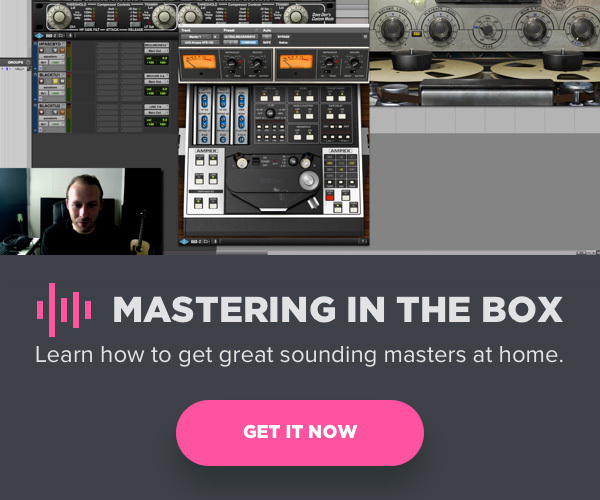 If you can’t afford consoles, outboard gear, and tape machines, fear not, as we have plenty of options that offer us a big percentage of the sound quality, at a fraction of the price.